Meet new people and try new things in a fantastic, fun, friendly and relaxed environment. 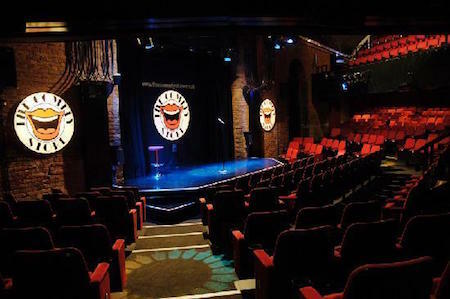 The Comedy Store’s ‘New Stuff’ show is the perfect environment to chat to some great new people, have fun and get involved with comedy’s latest and best comedians, their new ideas and material. Be the first to see what’s coming out on the circuit for this year. Here at Social Circle we make it our business to expose you to the best and latest Manchester has to offer, connecting you to the latest tends and putting you were you want to be. Tickets are £3, payable on the night. I tried a comedy night at the The Frog and Bucket last year, and now I go every couple of weeks - big laughs each time.